Item # 317362 Stash Points: 3,995 (?) This is the number of points you get in The Zumiez Stash for purchasing this item. Stash points are redeemable for exclusive rewards only available to Zumiez Stash members. To redeem your points check out the rewards catalog on thestash.zumiez.com. 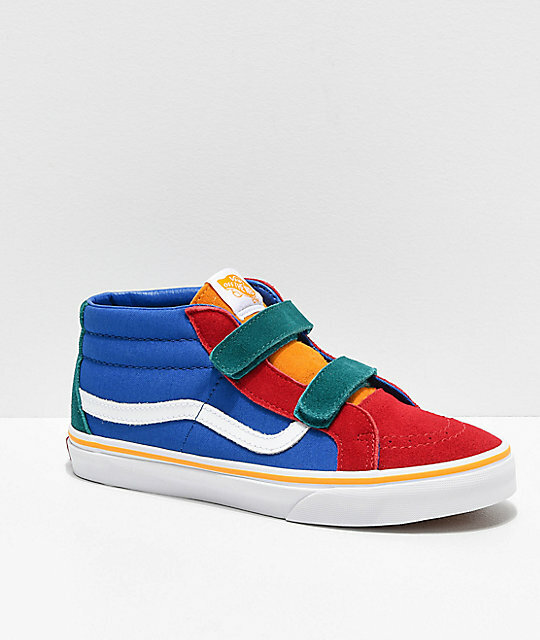 Add some vibrant color to your sneaker collection with the SK8-Mid Reissue V Primary Block Skate Shoes from Vans. Coming with multicolored suede and canvas uppers, these mid-top skate shoes feature two hook and loop straps for easy entry. 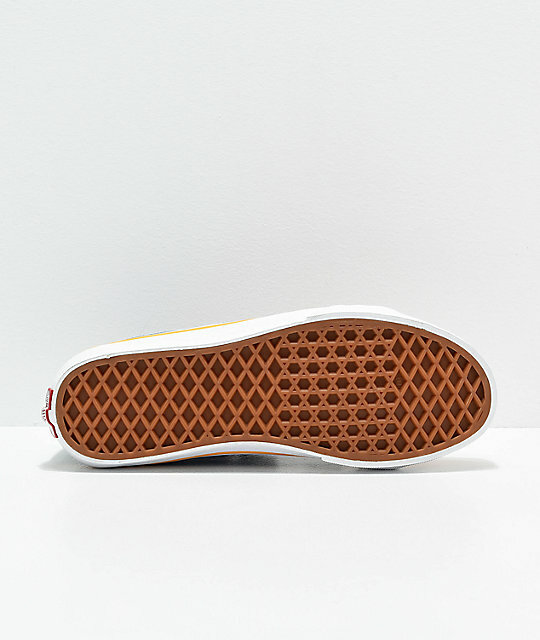 Vans classic leather stripe is added to the sidewall, while the waffle tread offers traction, and the padded collar and heel offers support and flexibility, making this style perfect for tearing up skateparks and schoolyards alike. 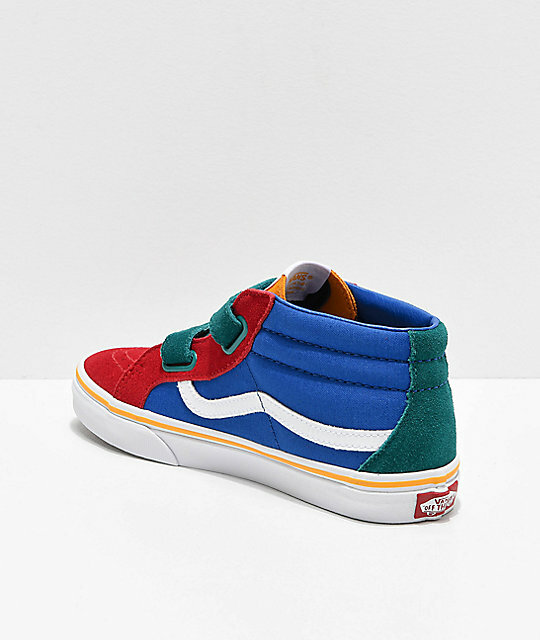 SK8-Mid Reissue V Primary Block Skate Shoes from Vans. 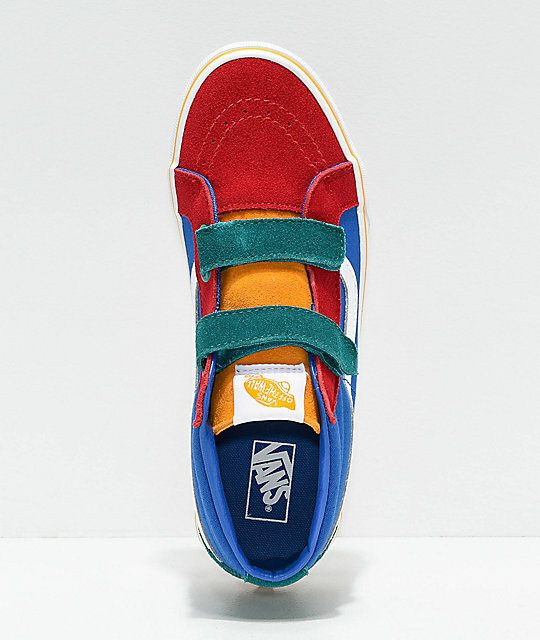 Multicolored suede upper with canvas sidewalls.